Has your employer failed to pay you the wages that you are rightfully owed for the hours you worked? Oftentimes employers fail to uphold their legal obligations to pay employees. Whether that failure was made intentionally as a way to cut corners and increase profits or out of negligence, you may be entitled to file an unpaid wages lawsuit to get the compensation you deserve through back pay. The employment violation lawyers at Goldberg Weisman Cairo are dedicated to holding employers accountable for their illegal actions. We can help you file an unpaid wages lawsuit to get the back wages that you deserve. Back pay is a common remedy for employment violations involving unpaid wages or benefits. In a back pay award, the employer is required to pay the difference between what is owed to an employee and what they were actually paid. Anytime an employee loses wages that they are entitled to, they may be able to file a claim for back pay. In order to file an individual lawsuit for back pay, you cannot have already received back payment through any other means listed above. Our wage violation lawyers can help you determine if an unpaid wages lawsuit is right for you. Working during deducted breaks Employees enjoying an unpaid break must not have work duties during that time. If an employee works through an unpaid break, the employer must compensate the employee. Travel time The employer must pay for employee travel time if the employee is ordered to participate in work related travel during business hours. 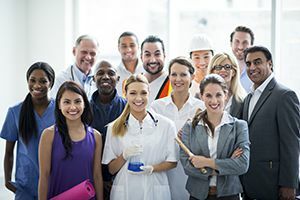 Working pre-shift and post-shift If your employer has you perform work prior to your shift beginning or has you remain at work to complete end of day responsibilities, employees can file lawsuits. Over time, even small wage losses can add up that may be recouped. Unpaid overtime If cutting costs means that your employer is misclassifying employees to get out of paying overtime, it could be grounds for a lawsuit. Non-exempt employees are entitled to overtime pay that is one and one half times their hourly wage. Employers who do not pay overtime wages to their employees may not only have to pay back the overtime compensation but also could be subject to punitive fees. On-call shifts On-call time can be a tricky situation to determine. Usually, if employees are able to use on-call time for their own purposes, the time will be unpaid. However, if employers impose restrictions on employees then the rule becomes complicated and employees may want to speak with an attorney. Misclassification As referenced in unpaid overtime, employers may try to avoid paying overtime by granting their employees managerial titles. However, the FLSA mandates that employees must have specific managerial positions before they are classified as exempt from overtime wages. Working from home With increased technological use, lines have been blurred between work and home. Employees may receive work emails via their phones or laptops and might make them feel obligated to work even when they are off duty or vacationing. The time spent working for your employer may be time you should be compensated for. Failure to pay minimum wage Despite state and federal laws, some employers still cheat their employees out of minimum wages. Tipped and day rate workers are usually vulnerable to minimum wage violations because of their pay structure. Comp time Some employers offer comp time, hours that can be used for sick or vacation time, instead of overtime pay. Legally, only state and local government employees can receive comp time in place of overtime wages. Averaging two paychecks together Employers may average employees hours over two weeks time. This practice is illegal. For example, an employee works 50 hours one week and the next week 30 hours. The employer could say the employee worked 40 hours each week and the employee is not granted the 10 hours of overtime pay they deserve.